In State v. Weyand, the WA Supreme Court held that officers lacked sufficient facts to justify a Terry stop of the defendant. Walking quickly while looking up and down the street at 2:40 a.m. is an innocuous act, which cannot justify intruding into people’s private affairs. On December 22, 2012, at 2:40 in the morning, Corporal Bryce Henry saw a car parked near 95 Cullum Avenue in Richland, Washington, that had not been there 20 minutes prior. The area is known for extensive drug history. Corporal Henry did not recognize the car and ran the license plate through an I/LEADS (Intergraph Law Enforcement Automated System) database. However, that license plate search revealed nothing of consequence about the vehicle or its registered owner. After parking his car, Corporal Henry saw Weyand and another male leave 95 Cullum. As the men walked quickly toward the car, they looked up and down the street. The driver looked around once more before getting into the car. Weyand got into the passenger seat. Based on these observations and Corporal Henry’s knowledge of the extensive drug history at 95 Cullum, he conducted a Terry stop of the car. After stopping Weyand, Corporal Henry observed that Weyand’s eyes were red and glassy and his pupils were constricted. Corporal Henry is a drug recognition expert and believed that Weyand was under the influence of a narcotic. When Corporal Henry ran Weyand’ s name, he discovered an outstanding warrant and arrested Weyand. Corporal Henry searched Weyand incident to that arrest and found a capped syringe. Corporal Henry advised Weyand of his Miranda3 rights, and Weyand admitted that the substance in the syringe was heroin that he had bought from a resident inside 95 Cullum. The State charged Weyand with one count of unlawful possession of a controlled substance. Weyand moved to suppress all evidence and statements under Criminal Rules (CrR) 3.5 and 3.6 and to dismiss the case against him. Weyand argued that the officer did not have sufficient individualized suspicion to conduct the investigatory stop. After the hearing, the court concluded that the seizure was a lawful investigative stop. According to the court, Corporal Henry had reasonable suspicion to believe that Weyand was involved in criminal activity. The court found Weyand’s case distinct from State v. Doughty, because in this case there was actual evidence of drug activity at, as well as known drug users frequenting, 95 Cullum. The court additionally found that Weyand knowingly, intelligently, and voluntarily waived his Miranda rights; thus, all post-Miranda statements were admissible at trial. Weyand waived his right to a jury trial and agreed to submit the case to a stipulated facts trial. Finding that Weyand possessed a loaded syringe that contained heroin, the court found Weyand guilty of unlawful possession of a controlled substance. Whether the specific facts that led to the Terry stop would lead an objective person to form a reasonable suspicion that Weyand was engaged in criminal activity. The Court held that officers lacked sufficient facts to justify a Terry stop of the defendant. It reasoned that under the Fourth Amendment to the United States Constitution and article I, section 7 of the Washington Constitution, an officer generally may not seize a person without a warrant. There are, however, a few carefully drawn exceptions to the warrant requirement. The State bears the burden to show that a warrantless search or seizure falls into one of the narrowly drawn exceptions. One of these exceptions is the Terry investigative stop. The Terry exception allows an officer to briefly detain a person for questioning, without a warrant, if the officer has reasonable suspicion that the person is or is about to be engaged in criminal activity. An officer may also briefly frisk the person if the officer has reasonable safety concerns to justify the protective frisk. The Court found that the totality of the circumstances did not justify a warrantless seizure. It reasoned that in order to conduct a valid Terry stop, an officer must have reasonable suspicion of criminal activity based on specific and articulable facts known to the officer at the inception of the stop. To evaluate the reasonableness of the officer’s suspicion, Courts look at the totality of the circumstances known to the officer. The totality of circumstances includes the officer’s training and experience, the location of the stop, the conduct of the person detained, the purpose of the stop, and the amount of physical intrusion on the suspect’s liberty. The suspicion must be individualized to the person being stopped. Consequently, the WA Supreme Court reversed the Court of Appeals and hold that walking quickly and looking around, even after leaving a house with extensive drug history at 2:40 in the morning, is not enough to create a reasonable, articulable suspicion of criminal activity justifying a Terry stop. My opinion? Excellent decision. 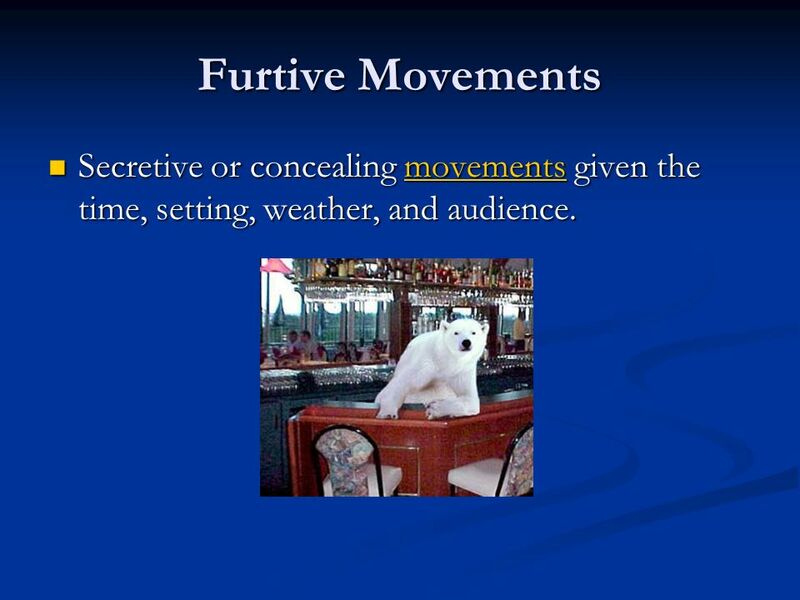 I’m very impressed the Court addressed the term “furtive movements” and put it in perspective. Law enforcement officers regularly use this catch-phrase to describe suspicious behavior allowing them stop/search/seize people. Although officer safety is a primary concern and a very good reason to search people who are already in police custody and making “furtive movements” in the presence of officers, it cannot be a basis for stopping and searching people who are simply going about their business walking down the street. Great decision.